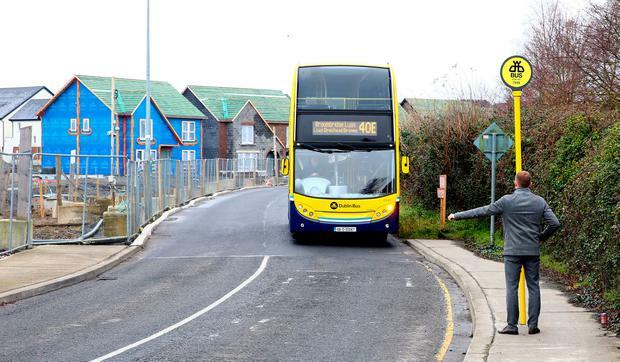 Rural north Dublin residents are at loggerheads with their local authority after it proposed to close a road that includes its only bus services. The introduction of Dublin Bus's 40E stop earlier this week was welcomed by people living in the Hollystown area of Dublin 15. However, its future is now in doubt following a proposal by Fingal County Council to close the R121 road altogether. A spokesperson for the council told the Irish Independent that its Local Area Plan for 2013 outlined the road will be created as part of a cul-de-sac adjacent to the new development at Hollywoodrath. It says the area will be primarily used to cater for pedestrians, cyclists and buses. However, local councillor Mary McCamley said Fingal didn't have the power to enforce this initiative as the site hadn't been taken in charge yet. "The council has previously stated they're going to incorporate the road with Hollywoodrath when it's taken in charge, but this could take well over 10 years. I'm afraid if the council aren't allowed to touch this road it will become a hotspot for illegal dumpers," she said. Hollystown resident Sinéad Buttner said her community has had enough of a "terrible public transport" service. "The only way to get around is by car, which myself and my partner have been doing for years," she said. "You can't even walk as we don't even have proper footpaths." A spokesperson for Fingal Council said it was currently undertaking a public consultation process in relation to this matter. The plans are on public display until December 28 and submissions can be made until January 11.